We will return to our regular programming soon! Okay, wait. My actual, real-life parents are going to freak when they read the title of this post. Let me clarify. I'm not adopted in real life (or at least, that *I* know of). Nope! But! 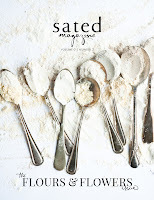 My blog and I have been adopted in Dine and Dish's wonderful Adopt-a-Blogger program, now in it's fourth cycle! 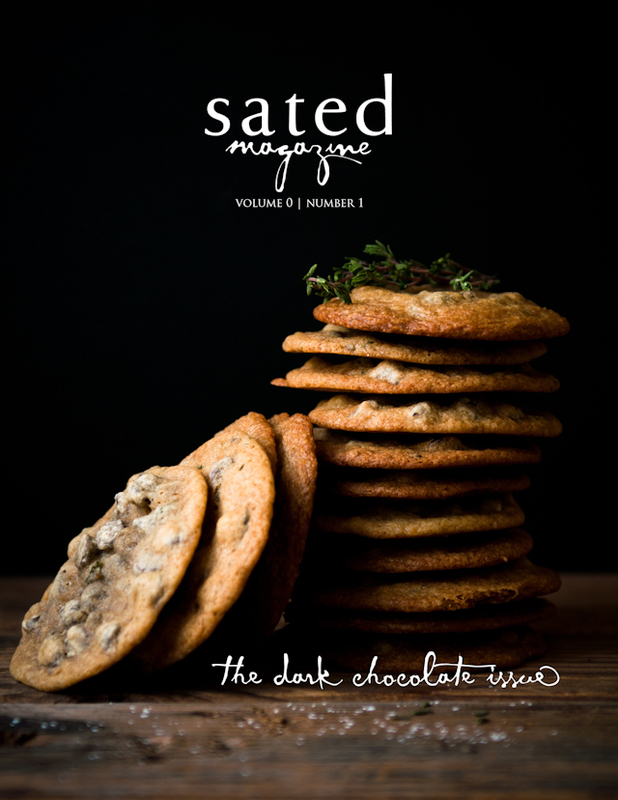 Kristen runs such a great blog over at Dine and Dish, and she does so much that I can't even imagine doing, like planning a whole week's menu in advance. I'm lucky if I even have the foresight to pick up enough frozen burritos and Hot Pockets to get me through the week (okay, now you are all going to question my culinary choices, but really! I eat far, far better when school isn't in session. e.g., four to five course home-cooked meals. My roommate can back me up on that.). She's also doing a great 365 day photo challenge that you can follow via her Flickr stream. Kristen has already been such a huge help in answering my questions, and participating in Adopt-a-blogger #4 has most definitely inspired me to make some of the long-needed changes that you see happening around the blog (like, the new header! and subscription links!). So, I'm definitely grateful to be a part of this program and am looking forward to learning a ton. Om yum yum! 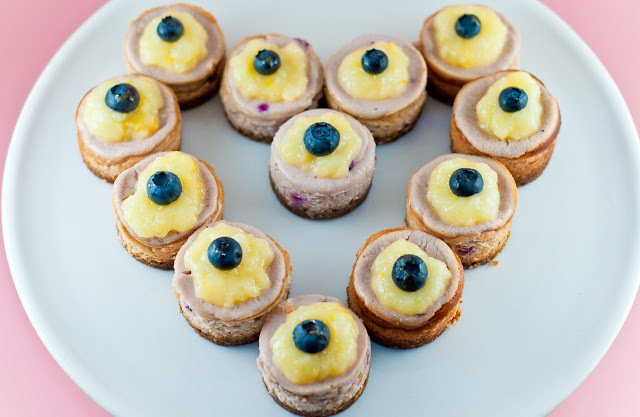 These mini cheesecakes are infused with a rich blueberry reduction sauce, which packs them with creamy blueberry flavor. Then, they're topped with light and tart meyer lemon curd for the ultimate lemon blueberry experience. The cinnamon kick in the crusts makes them so much more interesting than your average cheesecake. And, as a further tribute to my Icelandic roommate, these cheesecakes were made partially with Icelandic skyr, which is this yogurt-like cheese. The Icelandic skyr lends these cheesecakes a great airy texture and tenderness, more so than when using all and only cream cheese. And, blueberries + skyr is, I've been told, a classic combination of flavors. I have to say, despite having questionable taste with their putrid shark, those Icelanders did get it right with their blueberry skyr. 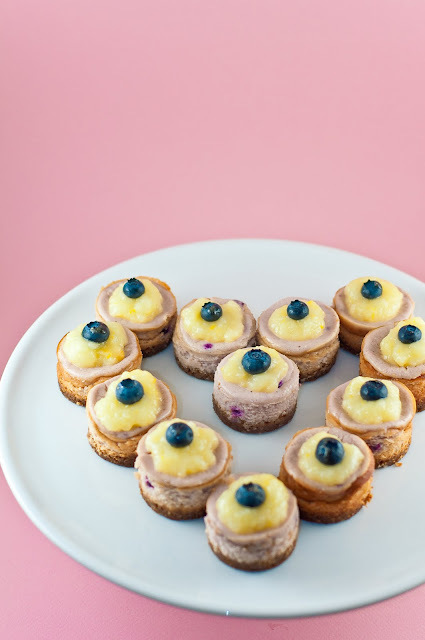 I ended up making mini cheesecakes and a few larger, 4.5" ones, which I piled high with layers of lemon curd, blueberry sauce, fresh blueberries and a glaze of apricot jam. While we sold the mini cheesecakes at a bakesale, the larger cheesecakes were all ours to devour. Which we did, with great satisfaction. 1. In a nonreactive saucepan, saute the blueberries over medium high heat until they begin to release their juices. 2. Add the lemon juice, sugar, and sifted cornstarch to the blueberries, making sure to whisk to combine. 3. Stirring constantly, bring the contents to a boil and simmer until the blueberries have reduced and are slightly thickened, about 5 minutes. 4. Remove from heat and let cool. Set aside. 1. Line the bottom of each cheesecake mold with a round of parchment paper. 2. Combine ingredients and mix thoroughly. Mixture will be crumbly but should stick together when pressed between your fingers. 4. Put the pans in the freezer while making the cheesecake filling. Have all filling ingredients at room temperature. 2. Beat the cream cheese until light and fluffy with the mixer on low throughout. 3. Add the skyr and beat again. 4. Gradually add the sugar and continue beating until creamy. 5. Add one egg at a time, beating well after each addition. 6. Add flour, vanilla, lemon juice, and lemon zest. Mix. 7. Add the sour cream and beat well. 8. Add the blueberry sauce and mix to until thoroughly distributed throughout the batter. 9. Pour the filling into the prepared pans on top of the crumb crusts. 10. Bake in the oven for 20-25 minutes. 11. Do not remove the pan from the oven! Turn the oven off, prop open the oven door about an inch or two, and leave for an hour. 12. Remove from oven, let cool and season in the refrigerator for at least 24 hours. 4. Place the saucepan over medium high heat and bring to a full boil, stirring gently with a spatula and scraping the bottom (to prevent burning). Once the mixture begins to thicken, reduce the heat and simmer for one minute. 5. Remove the curd from heat and mix in the lemon zest. Cool completely. 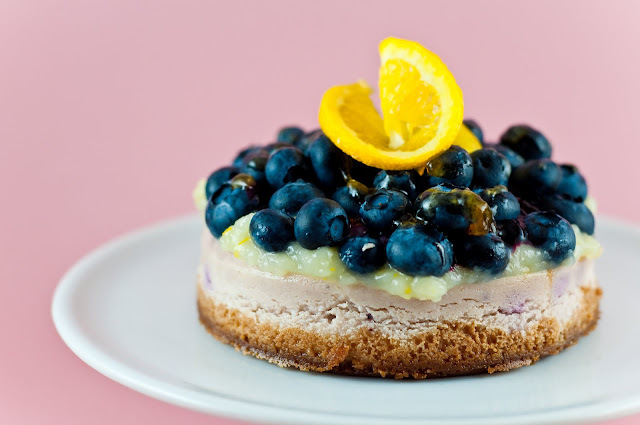 Once the cheesecakes have seasoned for at least 24 hours, top with dollops of lemon curd, leftover blueberry sauce, and fresh blueberries. For a bit of shine, lightly brush the blueberries with heated apricot jam. What a great creation! It sounds absolutely delicious! These are so adorable-I love that you made cheesecake is a miniature form! 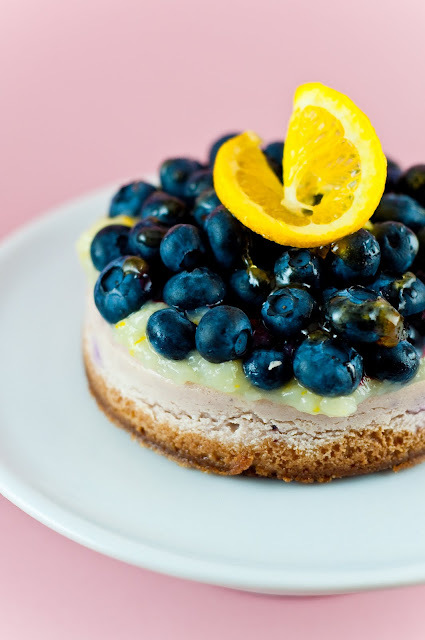 Lemon and blueberry is such a refreshing combination. What pretty styling! I wish I had one of these treats right now :).